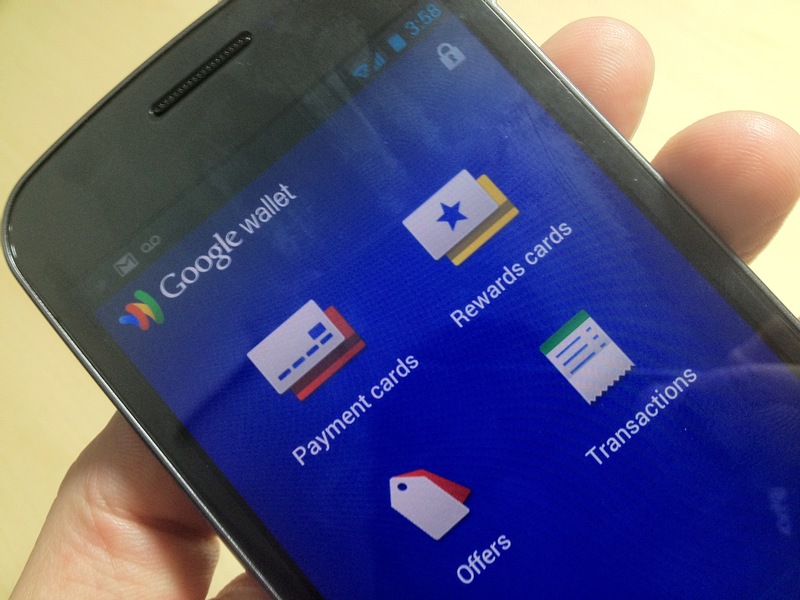 The Google Wallet(s goog) mobile payment service hasn’t yet taken off, partly because of limitations. Wallet originally launched on a single smartphone — Sprint’s(s s) Nexus S — hasn’t been embraced by other carriers and was limited to a single credit card option. Wallet works well for payments in places that accept it and with some changes this week, more people could be using it in the near future. Google expanded Wallet support beyond the original Citi MasterCard, so that it now works with other MasterCard(s mc) options, Visa(s v), Discover(s dfs) and American Express(s axp). Google says it works with debit cards as well and the service is more secure: Card information is stored in the cloud, not on the device itself. And Wallet can be disabled remotely if your phone or tablet is lost; I tested that this week and it works. With these changes, plus support on newer devices with NFC chips — think about those 10 million Samsung Galaxy S III phones already sold — Google Wallet could see more usage overall. Android 4.0 is seeing more usage, as well. For that matter, so is Android 4.1, which only launched last month. Google’s dashboard that shows the version number of Android devices hitting the Google Play store was updated this week. The number of phones and tablets running Android 4.0 nearly doubled to from the prior month, accounting for 15.9 percent of the total Android population visiting the Play store. Jelly Bean, or Android 4.1 quickly went from zero to 0.8 percent; impressive considering how few devices run the software. Part of the reason for this boost is because handset makers are finally upgrading older devices to Android 4.0, which debuted in October of last year. That’s good news for consumers due to the improved look and feel of the platform over the old Android 2.3 software; now more than 18 months old. The other factor is Google’s Nexus 7 tablet which ships with Jelly Bean. No official sales figures have been revealed yet, but based on Jelly Bean already nearing one percent of devices in under a month, combined with Nexus 7 orders held up due to demand, Google looks to have a hit tablet of its own. That leads to the definition of a tablet, which the Samsung Galaxy Note may meet. The 5.3-inch phone is often called a “phablet” due to being both smartphone and small tablet. Although the device hit the market months ago, T-Mobile has just picked it up and I got an early look. As you can see by my video overview, the Galaxy Note — mostly unchanged from the AT&T(s t) version although it ships with Android 4.0 — is big but thin, a solid performer and likely a two-handed device for most people. Timing could be important for this device’s launch as Samsung has confirmed it will be announcing a successor device later this month. The Galaxy Note II is rumored to have an even larger 5.5-inch screen; not surprising to me as I believe tablets will replace smartphones for most within the next several years. I was just reading that apple received a patent for there try at nfc technology….get this, they are calling it iWallet…. Big week for Android AND Google. The latest data released by comScore last Wednesday showed that Android is bouncing back considerably after giving up some ground in the smartphone space recently to iOS. Once again, Android ranked as the top smartphone platform with a 51.6 percent market share. With all the cool stuff coming to Android, I think that market share will balloon further in the current quarter. And the big winner will be the recent wave of Android developers and mobile advertisers who are concentrating more aggressively on the platform. Between Android’s growing market prevalence and the surge in profitability for Android devs/advertisers (With the help of Airpush.com and others), I think Android has truly hit its stride and will maintain this momentum indefinitely. Phablet ? Really !! Sounds Grrrr!!! There are still security risks transmitting data using NFC. Not to mention a huge limited support from Android devices. Looking for feedback and serious conversation about an alternative to mobile payment interfacing. We are looking at building a dynamic image system as an interface only. GLIIF, LLC is a Hot Silicon Valley Startup designed to disrupt QR Code usage in advertising. This is a emerging industry and GLIIF is poised to capture a large market share in a very short period of time. GLIIF’s initial offering includes a brand-able and blend-able custom encrypted image at a low cost of entry, pre re-direction marketing services and full analytics.